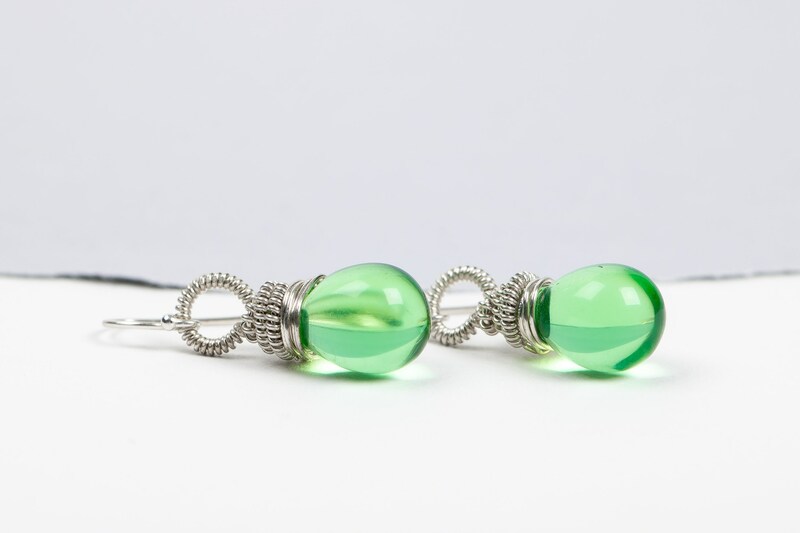 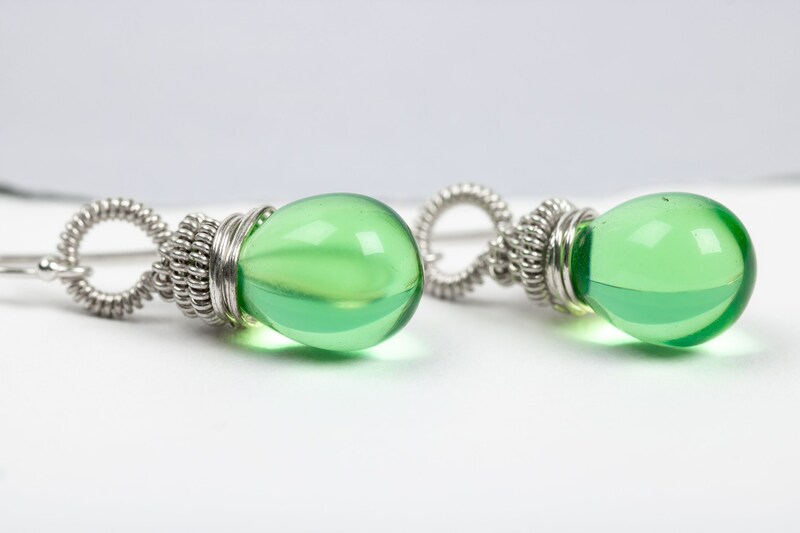 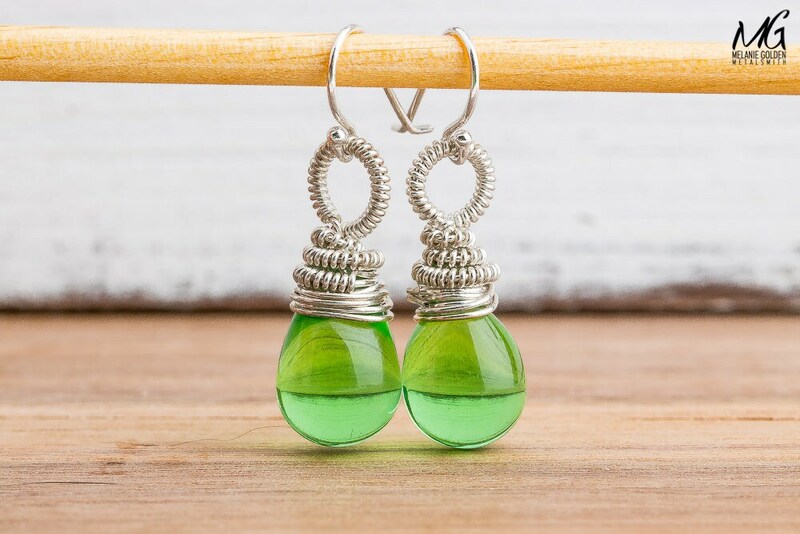 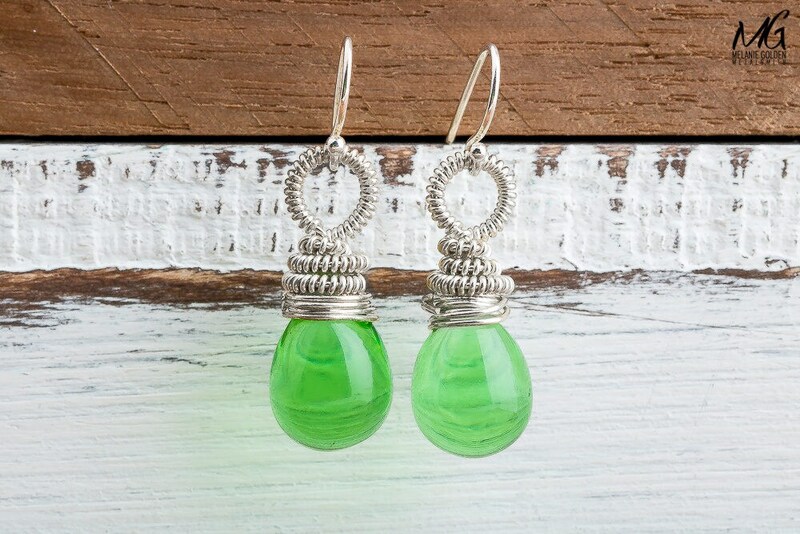 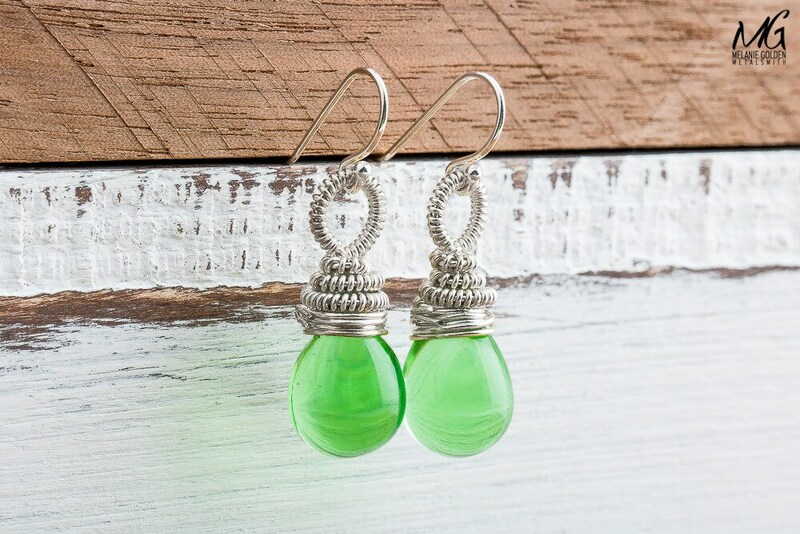 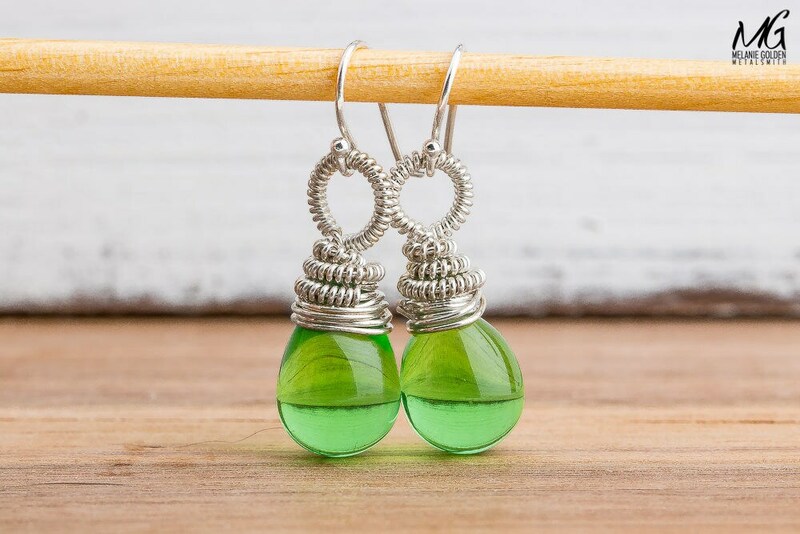 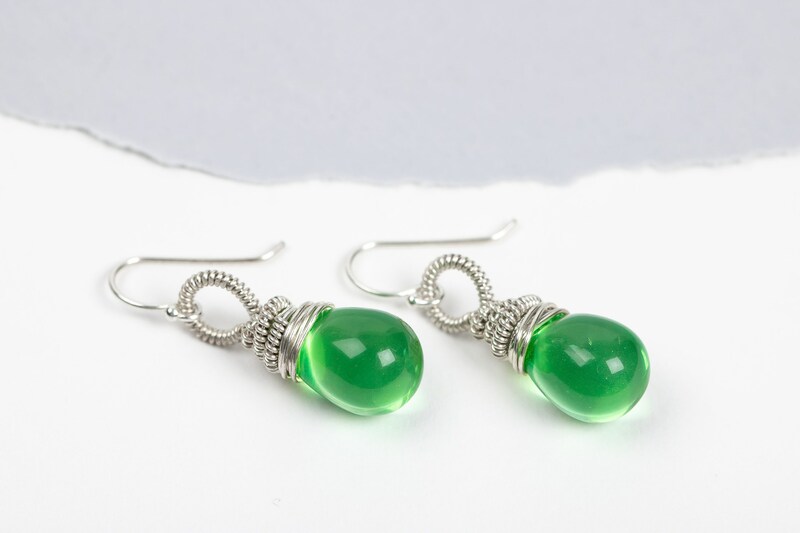 These earrings are hand wire wrapped in Sterling Silver and feature lime green Czech Glass drops. 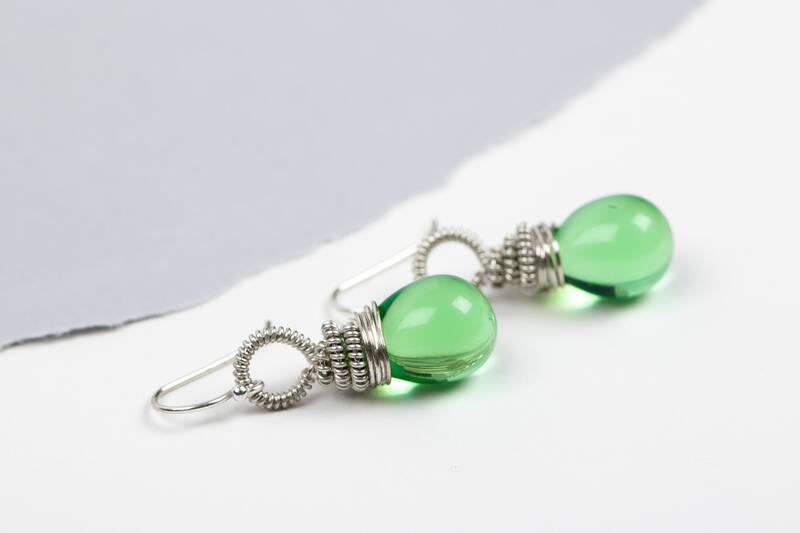 - Earrings measure approximately 10mm x 30mm. 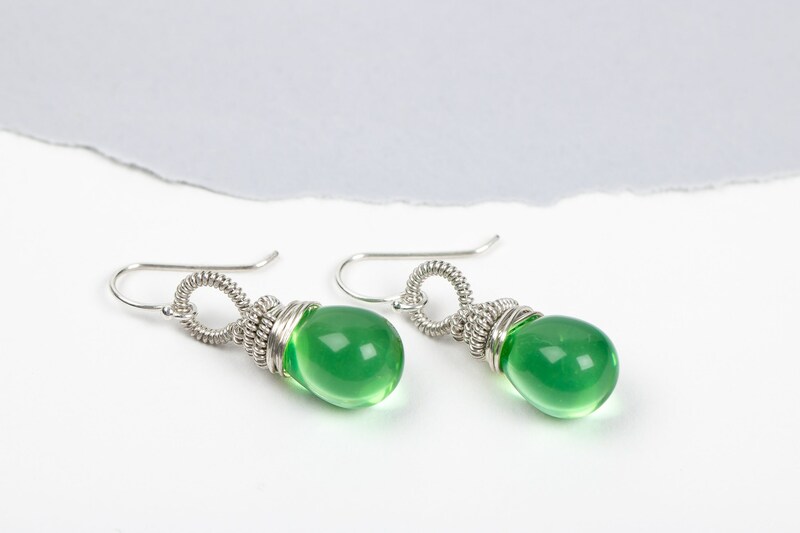 - Earrings are made entirely from Sterling Silver and Czech Glass briolettes.